Located in the Hyde Park neighborhood of Chicago, Illinois, the Law Offices of Chadwick & Lakerdas offers exceptional legal advocacy and support to those who suffered an injury or lost a loved one due to someone else's negligence or wrongdoing. In addition, our law firm also provides unmatched defense counsel for those charged with any type of felony or misdemeanor offense. Focused solely on the needs of our clients, we utilize innovative strategies to help you achieve the most favorable outcome possible for your situation. Through our personal injury practice, we have recovered over $120 million in settlements and awards for those we have served, and we have helped hundreds of accused individuals fight the charges they face in both state and federal courts. No matter the complexities surrounding your case or the seriousness of the charges against you, we will always treat you with the compassion and respect you deserve as we fight hard to help you secure a brighter future. 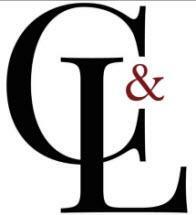 For more information on how the Law Offices of Chadwick & Lakerdas can best serve you during your difficult and uncertain time, you can contact our law office or visit our website to schedule a free initial consultation.